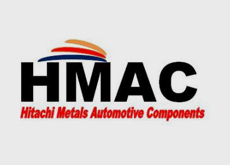 Hitachi Metals Automotive Components USA, LLC (Effingham Facility) | Network Directory : Hitachi in the U.S.A. The partner of choice to top brands like Nissan, Ford, Honda, and Chrysler, Hitachi Metals Automotive Components USA, LLC offers automotive castings and precision machining to the OEM industry. We also offer assembly services. Hitachi provides a range of advanced automotive components and casting solutions to the OEM industry. Our manufacturing facility in Effingham, IL, blends state-of-the-art infrastructure and advanced technology. We believe in constantly surpassing industry benchmarks to bring you innovative and unique products.